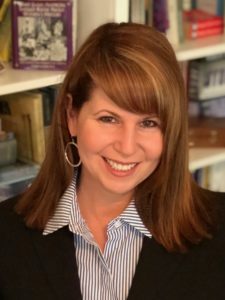 There are always going to be times in our lives when we lose a role on a team, a part in a play, or are replaced by new fresh blood—either at school, work, or at home. This is never an easy experience. It is an experience that can make you feel too old, too young, too inexperienced, inadequate, threatened, embarrassed, and even fearful of becoming irrelevant (and therefore you will lose your job, your partner will dump you, your children will abandon you, and you’ll become homeless and die alone). Yes, there are some of us who take it all the way to the bitter end. I don’t wish this on anyone. All those emotions are uncomfortable. And I know personally, I can wallow in useless emotions quite spectacularly, giving them a lot more importance than they deserve in my awesome life. As awkward or uncomfortable this moment is in your life, you must remember that one change or loss, does not make your life, predict your success, or determine who you can be or will be. It’s just that in the moment—it hurts. So what do you do with this sudden onslaught of passionate, deeply felt hurt, that in some instances might even feel as bad as betrayal? Seriously, these are high-climax, soap opera moments in our lives! They penetrate all our deepest fears and wounds we didn’t know we still had! I don’t mean to get anyone worked up re-living those moments. 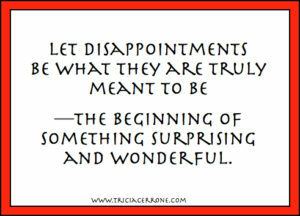 Especially because disappointments can be really important, and even wonderful defining moments, in our lives. Here is my advice instead. Seriously. I know you don’t like this because you need to share immediately, but this is the most important directive I can give you. Lock it down! Do not tell a single person at your office, your theater group, your school, etc. Basically don’t discuss the issue where it is taking place until you’ve got a firm grip on your plan. You can tell your parent, sibling or close friend in the privacy of home. You can cry, punch a bag, eat chocolate—do what you need to do. But keep your mouth shut until you’ve done the self-reflection you need to do to regain your balance and footing. Situations take time to unfold and reveal themselves fully to us. Allow yourself this time. It will likely save you a lot of embarrassment. If I’m honest, I can usually figure out what I’m really upset about. Is it the thing that happened, how it happened, or that I don’t like the new person? Or is it that I’m not even doing what I want and I was still replaced, and what the heck am I doing with my life? Try to be objective and see if any of the following might apply to you. You are pushing toward a direction you are not meant to go. Ask yourself if this thing is really your passion and talent. Are you fighting and yearning for what you really want, or what you think you are supposed to want or have? You might be wasting your energy and time going down a path that is not truly in your heart. This is possibly a wake up call to help you regain your senses, and chart your course better, rather than just waiting for things to happen. (FYI, if this is case, please see last week’s blog: How to Fight for Your Dreams). Sometimes you are not ready. This moment might just be the test to see how much you really want something. If you want it, keep learning, practicing and working on it. I always believe that if an authentic desire is planted in our hearts then we are meant to achieve it. But it still takes a lot of work and determination. The other person is just better or more experienced. This is a sign that you really are going to find your way. You’ve dealt with this miniscule moment in your life so well that it is going to launch you to an even better place than where you were. Disappointments are going to happen in our lives, but they were never meant to be the end of the story. 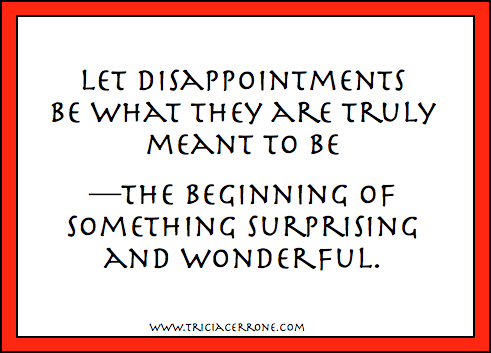 Instead, let them be what they are truly meant to be—the beginning of something surprising and wonderful.